"a riveting, totaling involving page-turner...Roll the Dice has all the elements to develop into a memorable film dramatization," Peter Saphier, executive at Universal and Paramount studios, o read and recommended the novel "Jaws" for production at Universal, co-Producer "Scarface"
Could not get into this book. Was not very interesting. I usually like political stories. Dear Wayne: Congratulations on your new novel. Over a thirty-hour period I read the book. I found it engaging, suspenseful with good character development. I liken it to a handcrafted cocktail, the kind with 100 proof vodka. The story had just that little extra kick. It was like blended drink with a just hint of Hunter S Thompson's Fear and Loathing in Las Vegas coupled with a trace of my old reporter buddy Mike Goodman who wrote a lot about the Vegas gambling business. I'm not an expert in politics or gambling, but found I couldn't put the book down. The political topic, well let's just saw your timing is perfect. There was enough back story to hold everything together. You did a excellent job in describing the locations both in Nevada and the Southland. I imagined a meeting at the old Nibblers in Whilshire Blvd in mid-city. 5.0 out of 5 starsGreat political story with rich characters! 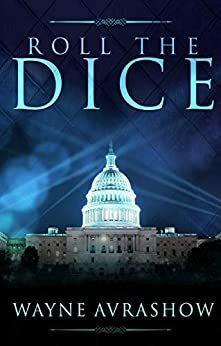 Roll the Dice is an excellent read! The story is very timely, too. The novel is centered on the political ambitions of Tyler Sloan, a very successful rock-n-roller who begins to follow in his father's footsteps. I particularly enjoyed the political and legal maneuverings, the father-son dynamics, and the humor (sometimes shocking, but always clever) exhibited throughout the book. The deals made behind closed doors yields much intrigue to the reader, and the story delivers one of these after another. 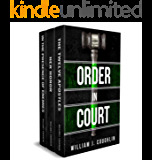 The author is an attorney himself, so the behavior of the legal counsel character, Zimmer, is constructed with expertise throughout the novel. The relationship between the cities of Las Vegas and Los Angeles is explored. Though Roll the Dice is a work of fiction, it identifies many truths of American life in these parts of the country. The character of Sloan is very human, and very believable. He has his head squarely on his shoulders, when he could easily take on tendencies toward megalomania. I think that Tammy Keller is my favorite character (her interactions with Sloan put me in suspense), though she is only featured in a couple of chapters. Similarly, the way that Sloan interacts with his main love interest is exciting. I was impressed with the pace of the book, along with its ability to keep me captivated for the 300+ pages. Looking forward to other works by the author! 5.0 out of 5 starsCrisp, fast, thrilling and the real deal! Spending the past two weeks sick in bed I needed a sizzling and fun thriller to get me through the coughing and sneezing. Tyler Sloan is the real deal, and the book grabs you from the start. It's a fascinating look at the behinds the scenes of a campaign and Sloan's quixotic quest to be Nevada's new, independent Senator. Lots of twists and turns, scandals, family drama - you name it! Avrashow is a former politician, and his keen understanding, wit and crisp writing style shine through each page. I can't wait to see what he does next! Not just an engaging tale of political high stakes, the book does an excellent job of exploring the interplay of the characters' relationships and how they are connected. The characters come to life -- we can see and feel their struggles, their successes, their failures, their joys, their fears and self-doubts -- all colorfully and vividly drawn by the author. We can really get into their personalities. Tyler Sloan is an imperfect protagonist, a real human being, and we can all get behind him. An enjoyable read that draws you in and will keep you interested all the way through! Thoroughly entertaining, pertinent to today's political environment. The characters are well developed and fun to read about. Now I want to watch them all on the big screen!